Kretzschmar, F., Graf, T., Philipp, M., & Primus, B. (in press). Experimental evidence for agent prominence in German. Kretzschmar, F., Graf, T., Philipp, M., & Primus, B. (2018). What is a sentient agent? Pre-Proceedings of the International Conference of Linguistic Evidence 2018, Tübingen, 47-49. Wang, L., Schlesewsky, M., Philipp, M., & Bornkessel-Schlesewsky, I. (2012). The role of animacy in online argument interpretation in Mandarin Chinese. In de Swart, P., & Lamers, M. (eds.). Case, word order, and prominence. Psycholinguistic and theoretical approaches to argument structure. Berlin, Springer, 91 – 120. Bornkessel-Schlesewsky, I., Kretzschmar, F., Tune, S., Wang, L., Genç, S., Philipp, M., Roehm, D., Schlesewsky, M. (2011). Think globally: Cross-linguistic variation in electrophysiological activity during sentence comprehension. Brain and Language 117(3), 133-52. Philipp, M., Bornkessel-Schlesewsky, I., Bisang, W., & Schlesewsky, M. (2008). The role of animacy in the real time comprehension of Mandarin Chinese: Evidence from auditory event-related brain potentials. Brain and Language 105, 112-133. Kretzschmar, F., Graf, T., Philipp, M. & Primus, B. (2018). Prototype vs. prominence: Experimental studies on the decomposition of agentivity. Talk presented at the international conference "Cognitive Structures 2018", September 12-14, 2018, Heinrich-Heine University Düsseldorf, Düsseldorf, Germany. Kretzschmar, F., Graf, T., Philipp, M. & Primus, B. (2018). The prominence of sentience. Poster presented at the international conference "Prominence in Language", 11th - 13th July 2018, University of Cologne, Cologne, Germany. Kretzschmar, F., Graf, T., Philipp, M. & Primus, B. (2018). What is a sentient agent? Talk presented at the international workshop "Linguistic Evidence 2018 - Experimental data drives linguistic theory", Eberhard Karls Universität Tübingen, Tübingen, Germany. Graf, T., Philipp, M., Kretzschmar, F. & Primus, B. (2017). The interaction of event structure and agentivity. An event-related potential study on German intransitive motion verbs. Poster presented at the international workshop "Event Representations in Brain, Language & Development (EvRep)", MPI for Psycholinguistics Nijmegen, October 27th - 28th, Nijmegen, The Netherlands. Philipp, M., Graf, T. & Primus, B. (2017). Inference-based incremental processing of semantic roles and event structure: minimality vs. pragmatic enrichment. Talk presented at the annual meeting of the DFG-priority program XPrag.de: New Pragmatic Theories based on Experimental Evidence (SPP 1727), Sep. 18th – 19th, Cologne, Germany. Philipp, M., Graf, T. & Primus, B. (2016). Agentivity Inferences and Verbal Aspect in German. Poster presented at the annual meeting of the DFG-priority program XPrag.de: New Pragmatic Theories based on Experimental Evidence (SPP 1727), June 20th – 21th, Tübingen, Germany. Graf, T., Philipp, M. & Primus, B. (2016). Agentivity in Impersonal Passives. Talk presented at the 2016 Annual Conference of the German Linguistic Society (DGfS), February 24th - 26th, Konstanz, Germany. Philipp, M. & Primus, B. (2015). Prominence in argument structure: Agentivity dimensions in impersonal passives. Talk presented at the Cologne Center of Language Sciences (CCLS) Lecture Series, November 30th, University of Cologne, Germany. Graf, T., Philipp, M. & Primus, B. (2015). Animacy, Agentivity and Verbal Aspect: An Experimental Case Study of the German Progressive with Position Verbs. Talk presented at the 48th Annual Meeting of the Societas Linguistica Europaea (SLE 2015), September 2nd - 5th, Leiden, The Netherlands. Philipp, M., Primus, B. & Graf, T. (2015). AATIC - Contextually driven agent demotion in impersonal passives and agentivity in German. Poster presented at the annual meeting of the DFG-priority program XPrag.de: New Pragmatic Theories based on Experimental Evidence (SPP 1727), June 26th – 27th, Goettingen, Germany. Philipp, M., Primus, B. & Graf, T. (2014). AATIC - Agentivity, Animacy and Telicity: Pragmatic Inferences in Intransitive Clauses. Talk presented at the kickoff meeting of the DFG-priority program XPrag.de: New Pragmatic Theories based on Experimental Evidence (SPP 1727), July 21st - 25th, Berlin, Germany. Philipp, M., Primus, B. & Graf, T. (2014). AATIC - Agentivity, Animacy and Telicity: Pragmatic Inferences in Intransitive Clauses. Poster presented at the kickoff meeting of the DFG-priority program XPrag.de: New Pragmatic Theories based on Experimental Evidence (SPP 1727), July 21st - 25th, Berlin, Germany. Primus, B. & Philipp, M. (2014). Agentivity, Animacy, and Telicity: Event Interpretation in Intransitive Clauses. Talk presented at the 11th International Conference on Actionality, Tense, Aspect, Modality/Evidentiality (Chronos 11), June 16th - 18th, Pisa, Italy. 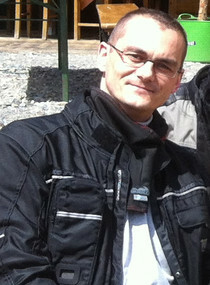 Philipp, M. (2011). (to) „be“ or not (to) „be“: ERP-Correlates of Auxiliary Selection in German and the Role of Social Cognition. Talk at the Nijmegen's Optimal Communication Colloquium, 12. October, Radboud Universiteit Nijmegen. Kretzschmar, F., Bornkessel-Schlesewsky, I., Philipp, M., & Schlesewsky, M. (2009). Animacy interference in the comprehension of complex sentences in Mandarin Chinese. Poster at the 22th Annual CUNY Conference on Sentence Processing, Davis, California, 26.–28.03.2009. Kretzschmar, F., Bornkessel-Schlesewsky, I., Philipp, M., & Schlesewsky, M. (2008). Word-Order Ambiguities in German: Evidence for interactive prominence hierarchies. Poster at the 21th CUNY Conference on Human Sentence Processing, Chapel Hill, 13.-15.03.2008. Roehm, D., Ramasamy, M., Philipp, M., & Bornkessel-Schlesewsky, I. (2008). Comparing ERP effects across languages: A frequency-based analysis. Poster at Extended Scientific Advisory Board MPI for Human Cognitive and Brain Sciences, Leipzig, 16.01.2008. Philipp, M., Bornkessel-Schlesewsky, I, Bisang, W., & Schlesewsky, M. (2007). The role of animacy in the processing of verb-final sentences in Chinese: An auditory ERP study of ba- and bei-constructions. Poster at the 20th Annual CUNY Conference on Human Sentence Processing, San Diego, California, 29.-31.03.2007. Wang, L., Philipp, M., Bornkessel-Schlesewsky, I., & Schlesewsky, M. (2007). The role of animacy in the processing of verb-final constructions in Chinese. Poster at the workshop on Case, Word Order and Prominence in Argument Structure, Nijmegen, 05.11.2007.